Apple's smart tech will let the HomePod smart speaker perfectly rock your house. According to Apple, its upcoming HomePod smart speaker will “reinvent the way we enjoy music” thanks to its seven-tweeter array, 4-inch woofer, and smart “spatial awareness” technology that lets it “read” its environment. 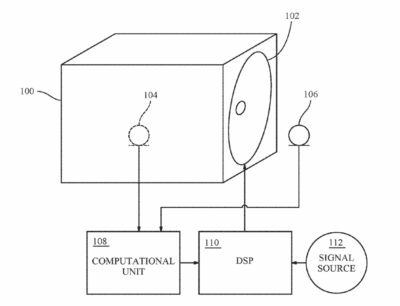 If you want to find out more about how Apple’s smart speaker works, check out this new patent application. It describes an Apple speaker that uses digital signal processing, microphones and algorithms to play perfectly equalized music. The invention sets out to solve the problem of sound variability caused by a speaker’s physical location in a room. For instance, placing a speaker in the corner can cause a significant increase in radiated acoustic power at low frequencies. That results in muddy, bass-heavy sound. The new speaker dynamically adapts to its environment. “The position of the listener’s ears with respect to room boundaries will [also] affect the perceived frequency response in a similar manner,” Apple writes. Apple’s solution utilizes a variety of microphones both inside and outside a sealed speaker enclosure. Onboard processing establishes the correct equalization filter, based on internal pressure levels, speaker displacement, external pressure and other data gathered by the microphone array. Comparing readings from its internal and external microphones allows the speaker Apple describes to dynamically alter according to its environment. Impressively, it’s capable of doing this in real time, rather than having to be calibrated in advance. It’s not clear whether this approach will sculpt HomePod’s sound, but the technology described certainly seems to fit. Apple says its smart speaker will boast an impressive A8 processor and six external microphones. 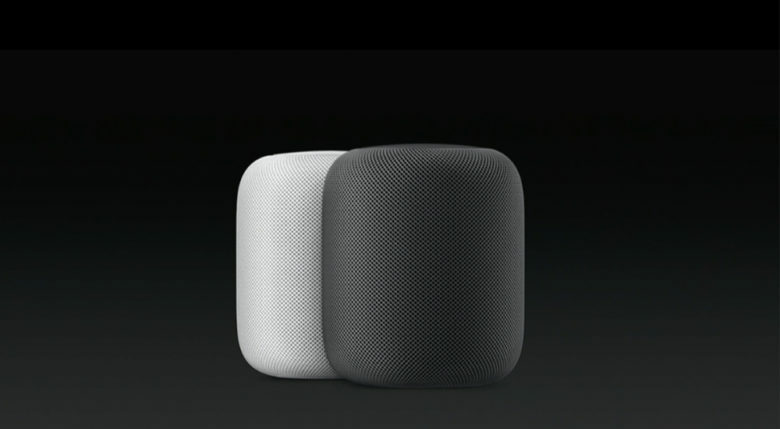 The hardware will allow HomePod to determine information about its environment. Hopefully, more details about HomePod technology will emerge before fall, when Apple starts shipping the smart speaker. Apple’s “Loudspeaker Equalizer” patent application was filed January 6, 2016.